Whether you say "Pee-can" or "Puh-kahn", we think ours are the tastiest around. Still, we felt a bit of white chocolate might make them even tastier. 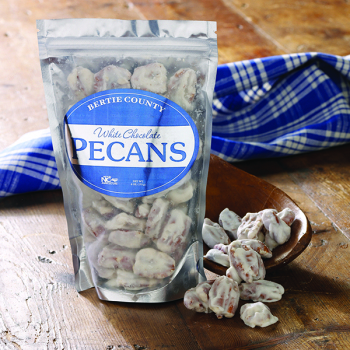 Hand-dipped in a creamy white chocolate, these White Chocolate Pecans are truly one of the best snacks you'll ever taste! Thanks to my mom's adventurous culinary spirit, our family has found a new treat for special occasions. The creamy, sweet white chocolate coating pairs superbly with the buttery, sweet base flavors of the fresh pecans! The chocolate doesn't overpower the pecan. 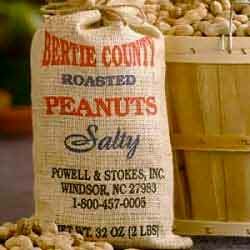 You will LOVE them and they make a great gift or stocking stuffer! I always purchase for family in NJ and they always enjoy this special treat! Delicious & fresh! 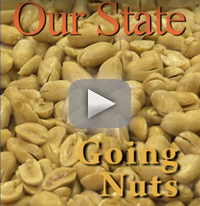 We tried different varieties of pecans from several local suppliers and these were by far the best! Our corporate guests will be pleased at our upcoming event.